The C.O.A.T training course on a sight visit to Glencoe. 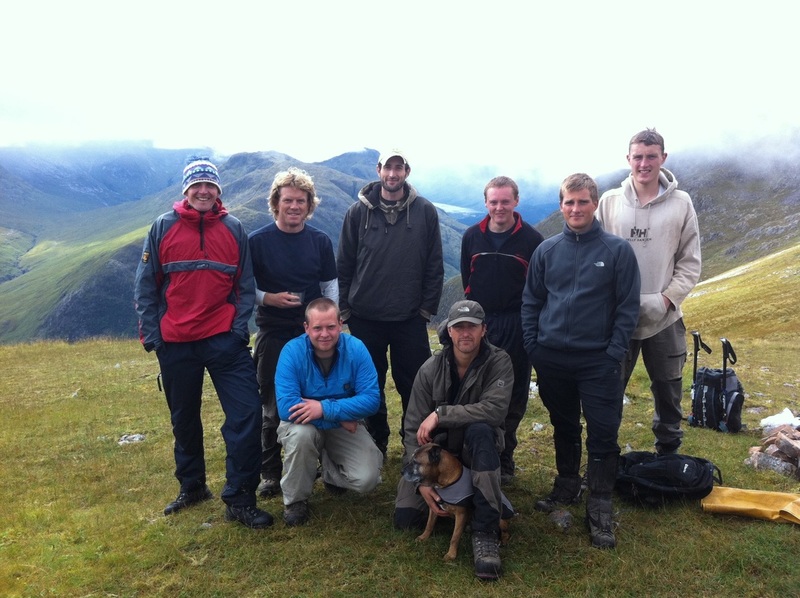 In April 2011 the Cairngorm Outdoor Access Trust (C.O.A.T) started running a course to teach 8 applicants the skill sets required to successfully be able to undertake the building and repair of upland footpaths. Areas covered on the course included instruction in how to survey and identify problems, and then how to build the correct type of path with the correct type of features to rectify them. This could include the building of raised aggregate paths with stone or boulder pitching for the steepest gradients, aggregate path with anchor bars to hold the surfacing, and side drains, cross drains and water bars to solve any drainage problems. The use of machines and Geo-textiles in the construction of lowland paths was also covered as were all the specifications and UPAG standards covering them. Habitat management was also taught, taking place in some of the RSPB reserves in the Cairngorm National Park area. There were also lectures and visits from various organisations involved in the management and conservation of the National Park and surrounding areas. On completion of the course the candidates would be awarded a SVQ level 2 award in environmental conservation and would be in the best possible position to go forward, and with their skills, find employment within the sector. The three directors of CWC undertook this course and on completion decided to found the company. Since then we have successfully tendered for many contracts and still have a close relationship with COAT, working for them on numerous projects and taking the trainees from their courses on work experience.